Outstanding results during our two-day event in Berlin! 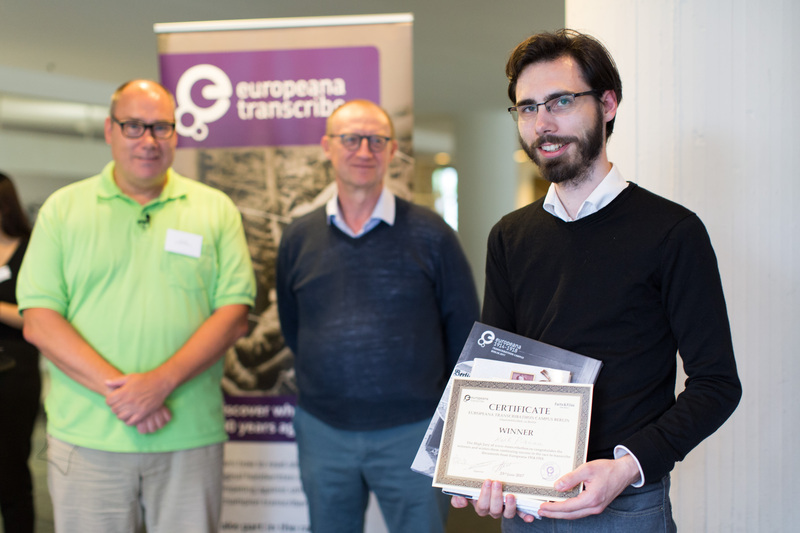 We want to congratulate and thank all our enthusiastic participants and organisers that helped to make the Europeana Transcribathon Campus Berlin 2017 such an unforgettable event! 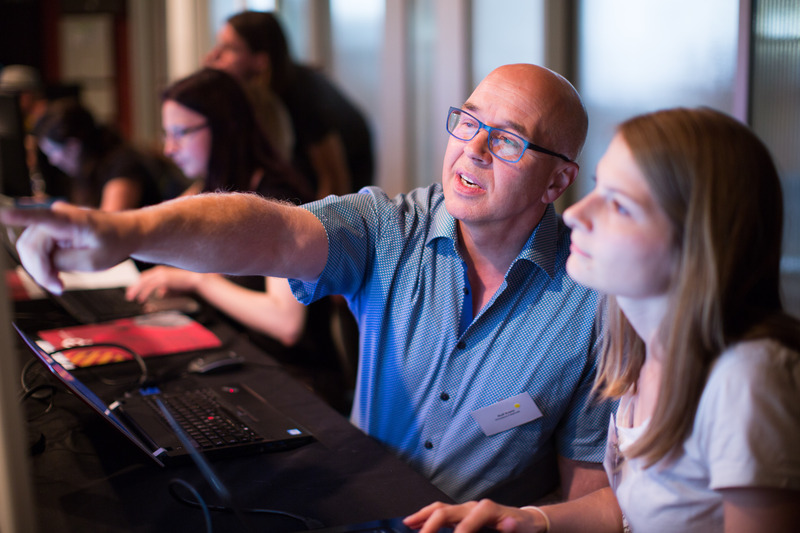 From Thursday 22 June 2017 to Friday 23 June 2017, the Europeana Transcribathon Campus Berlin 2017 took place in the Staatsbibliothek zu Berlin. During these two days, our participants managed to transcribe 407 documents, which amounts to almost 250,000 characters in only 28 hours- what an achievement! In addition, our teams made 614 enrichments to the documents and set 120 geo-tags during this short time. We would like to take this opportunity to say a big, warm thank you to every one of our international participants, who travelled from countries all over Europe to attend this special event, such as Austria, Romania, France, the Netherlands and Italy! After the transcription time was up, our 10 teams presented their results, and were judged by an international jury for the quantity and quality of their transcriptions and enrichments. 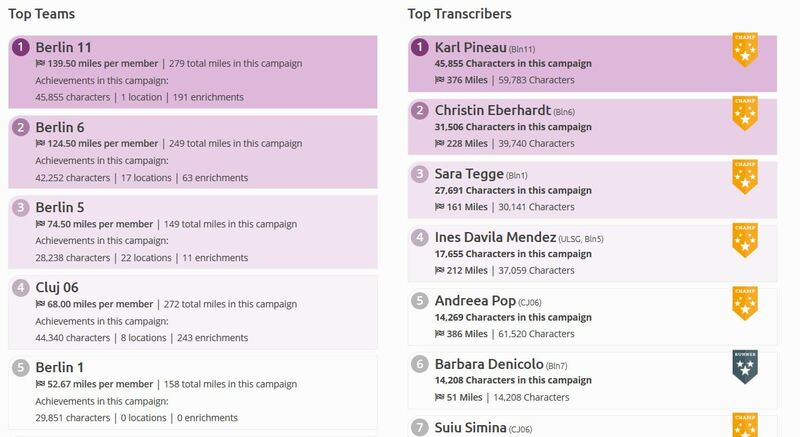 The overall individual winner is Mr. Karl Pineau from France, who transcribed an incredible 45,855 characters! In the category for Presentation, the winner is team Cluj 6, who joined us all the way from Romania! Team Berlin 7 is the winner in the category Enrichment. Winner of the category Transcription is team Berlin 5. 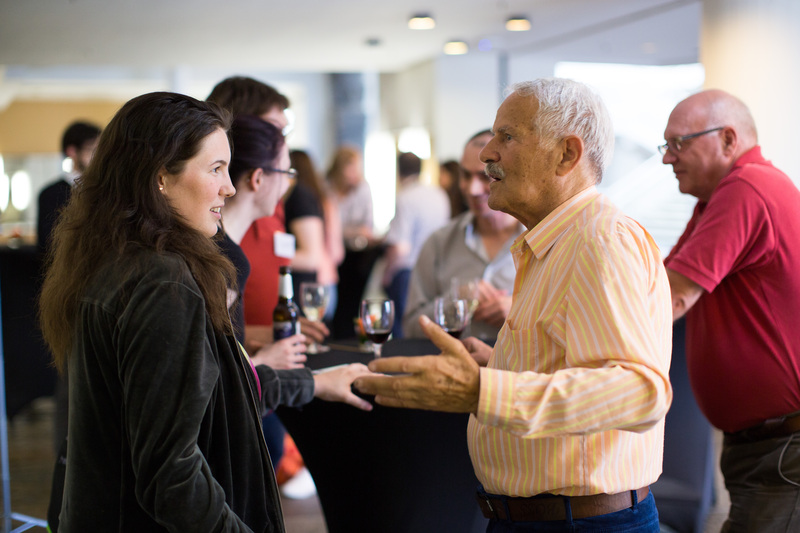 Special mentions were made for team Berlin 10 and Mr Peter Kirmsse, who was the oldest participant of the Transcribathon with 83 years! The second day of the event also consisted of a number of interesting Workshops and Presentations by Wikisource/Wikimedia, Europeana Newspapers, Europeana 1914-1918 and the Deutsche Digitale Bibliothek and a panel discussion! A big, hearty thank you to all our participants, organisers and hosts for two fascinating and fun days in Berlin!